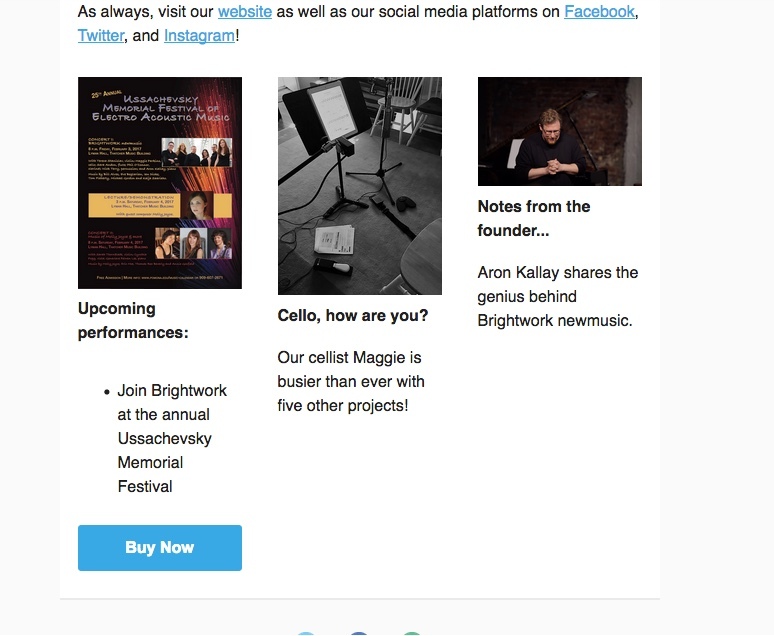 I was surprised at how easy and intuitive MailChimp is to build newsletters and other campaign material! I had fun picking the template and dragging and dropping all the elements for the design and writing my own blurbs of content. One thing that I will be sure of in the future is to make sure I delete all of the preset placeholders because it is easy to forget to erase them since it looks like it fits in with the rest of the content; however, that is where the test email feature is extremely handy! 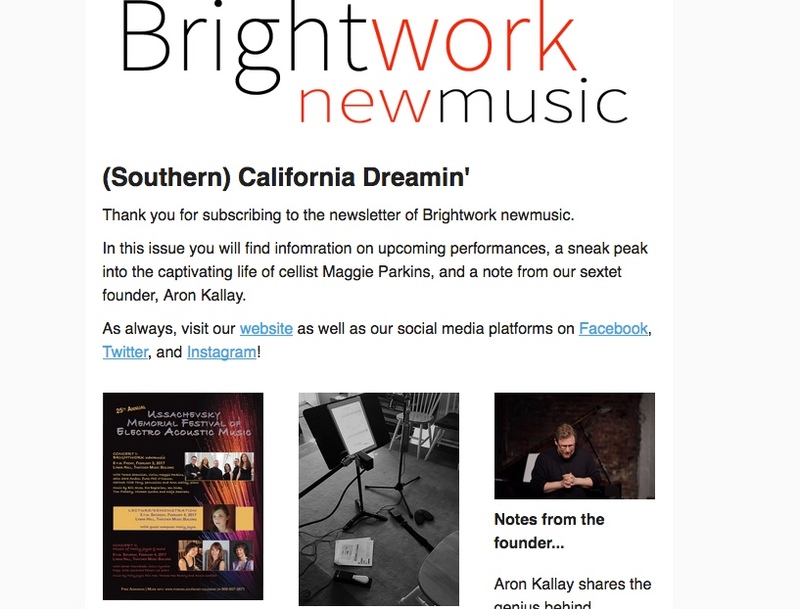 I think that this would be a good campaign to implement since I have had people asking me if Brightwork had a newsletter. This also could help to retain some of our older demographics of followers since email lists are seem to not be as commonplace for Millennials and GenZ.